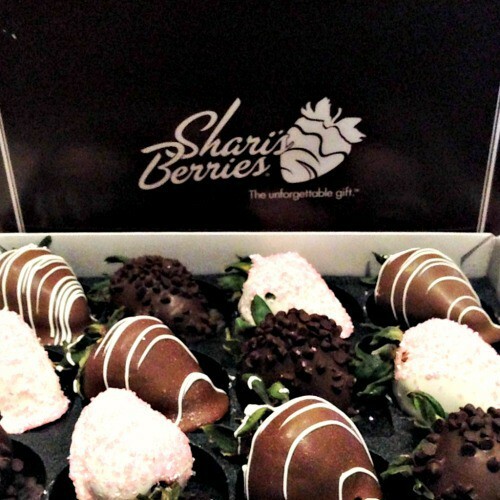 Home Lifestyle	Share the love this Mother’s Day with Shari’s Berries! 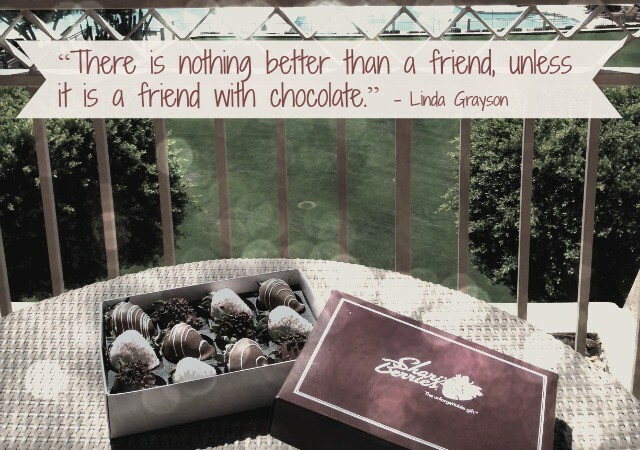 Share the love this Mother’s Day with Shari’s Berries! Good friends are hard to come by. I think that goes without saying. But good friends also seem to come and go in waves. Sometimes with certain phases of life I am thrown together with people who I then don’t see for months at a time. The best friends are the ones who can pick up right where you left off no matter where that may have been. Shari’s Berries asked me to spread joy to some of the Happy Mamas in my life for Mother’s Day and I knew right away who it would be. 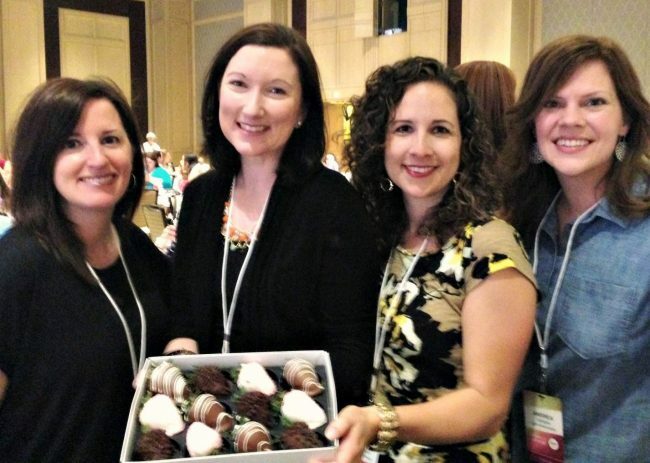 Last week, I traveled to the Mom 2.0 Conference. I bought my ticket while still at last year’s conference and I knew I would be rooming with the same 3 people again. Between us, there is sort of an unspoken rule that if we are at the same conference, we’re probably rooming together. I don’t mind sharing a room, but as I get older it sure is nice to know what I am getting into. I met Fadra, Erin and Melissa 5+ years ago through the miracle of blogging and we’ve been friends, co-workers and confidants ever since. We’ve chatted business, personal lives, deaths, births and everything in between. They each inspire me to be a better blogger, a better mother and a better person through the way they live their lives. We are each other’s advisors almost daily and I wouldn’t trade them for the world. These ladies know me online and offline and we still like each other! That’s a pretty big deal in my book. I am so thankful that I had the chance to not only see them this past week, but to wish them each a Happy Mother’s Day in such a delicious and special way! Over the years, our families have grown, some of us have moved, started new jobs or new blogs and cheered for each other along the way. Blogging and working from home has a tendency to be very isolating and it’s important to be intentional about friendships. I love these ladies because they get me, they push me and they celebrate me. I wanted to do the same for them this Mother’s Day and I am so thankful to Shari’s Berries for giving me the opportunity. Check out the wonderful assortment of delicious goodies at Shari’s Berries and choose something for the special women in your life who help you find joy on your mothering journey. You can also check out the Shari’s Berries blog for fun and inspiring gifting ideas for every occasion and follow them on Instagram and Pinterest to enjoy lots and lots of mouth watering photos! Now that I am a mother, I understand so much. SO much of why these special days are so important. I’m wishing all of the moms I know a Happy Mother’s Day. I celebrate you and the way you care for your families day in and day out. Moms make the world go round! Thanks to Shari’s Berries for providing this sweet treat for my friends. When your 6-year old prays for Satan’s salvation, you say amen.